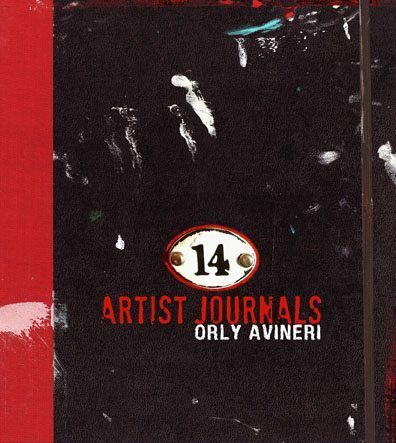 I am proud and excited to support my wonderful friend Orly Avineri to announce her newest book “14 Artist Journals” is out and ready for purchase. I am honored to be a part of Orly’s book with 13 other amazing artists. 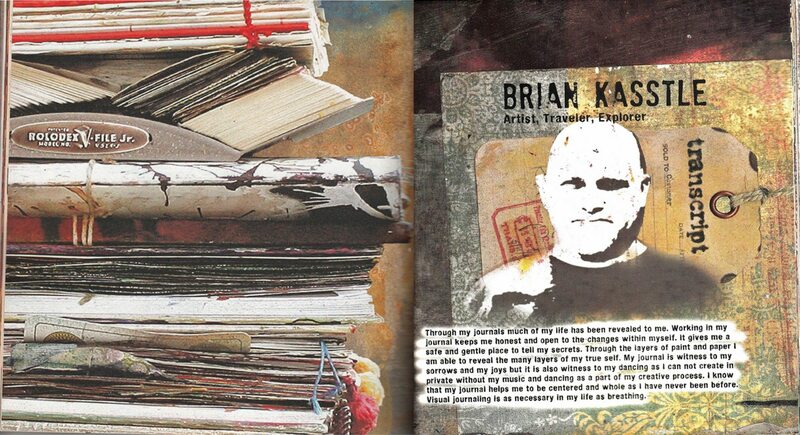 “14 Artist Journals” is an art book for art journalers. Artists for whom art journaling is not just a hobby but a very important aspect of their lives, a part of their very identity. In my opinion this book along with her revolutionary first book “One Artist Journal” are going to change how art journaling is presented and viewed. Orly has lovingly selected, photographed and presented each artist’s pages that in her opinion represent the essence of each artist she has chosen. Orly gives you a rich, colorful, emotional look into each artist’s personal journal pages. Artists you may know or think you know, these are their intimate pages. Some artists you may be unfamiliar with and will defiantly want to know more about after viewing and being draw into their inspiring personal worlds. I am so excited to be a part of this wonderful group of artists selected for the book. Some I know personally and call friends, some of the artists I know via the internet, some I do not know yet through this book I feel I know all them very closely now. The list of artists:Nathalie Nayer, Tracy V. Moore, Erin Faith Allen, Seth Apter, Juliana Coles, Maya Dunsky, Pnina Gold,Jesse Reno, Brian Kasstle, Hana Klos, Gil Avineri, Rachel Urista, Darcy Ruth Ritzau, and Vered Gersztenkorn. I have known Orly for about three years, first as a teacher and later as a dear supportive friend. Early in my journey she was the first to call me an artist and truthfully to help me feel deep down, YES, I am an artist. Orly has helped me to develop my own personal style, and to challenged me to go deep within myself in my art. I have seen in her classes how she in her very gentle, yet strong way brought people who have had no art experience to find their own artist’s way. Orly is a very special woman unlike any I have ever met. Orly is hosting a drawing for a copy of “14 Artist Journals” on her blog, One Artist Journal, so leave a comment on her blog and one lucky winner will be picked on Valentine’s Day morning, Thursday 14 February, 2013, good luck! Congratulations on having your artwork published Brian! Congratulations Brian! This is a milestone in your art life. I can’t wait until Tuesday when the book is delivered. Kudos to you and Orly and the other artists. My copy arrived last night and I am absorbed in looking through this book. Your section is wonderful, Brian. I am so glad the rooster and bear piece was included. It is one of my favorites of your work. Again, congratulations! Hey, Brian- Wow! 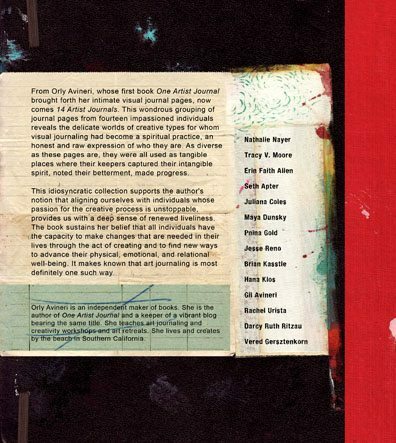 Congratulations on being a part of “14 Artist Journals.” Orly Avineri is such a class act, how great it must have felt to be asked to be a part of her 2nd book! Your work is amazing, and will definitely add immeasurably to her book! I’m so looking forward to the inspiration of seeing your work, and the work of several others, in book form. Can hardly wait to get my hands on a copy! Congrats Brian! I love that stencil you made of yourself. The book is very good and I am so happy for you. hey brian your work looks great! can’t wait to see it in the book! all ready ordered my copy! Brian, Just back here to say I LOVE your intro pages pictured above! I ordered my copy, yesterday from CreateSpace, and am counting the days till it arrives! Congratulations, once again, for being part of such an amazing book! Loving your pages in the book Brian. They are really very special and very…you! Congrats Brian! I am dashing over to order one right now! I spy a BK portrait stencil – woohoo! Congratulations Brian! You must be over the moon. I can’t wait to receive my copy!